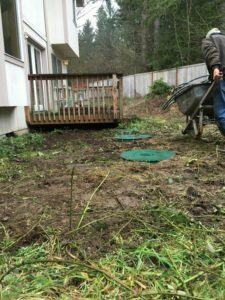 We offer 24-hour emergency septic repair services in South Prairie, WA and the surrounding areas. Call us any time of day or night to get your septic system issues fixed fast. We understand that emergencies can be quite stressful, and our team is available 24 hours a day, seven days a week for those unexpected problems that may occur with your septic system. VAC-TEC LLC offers a fast, friendly emergency septic repair service. Our clients and their satisfaction are very important to us, and our team will do everything they can to ensure a quality emergency septic repair. While your septic system is designed to function for many years without needing big repairs, there may come a time that your system requires an emergency septic pumping & cleaning service. If you need an emergency septic pumping & cleaning service in South Prairie, we have got you covered. Timely and professional emergency septic pumping & cleaning is essential to preventing a complete system failure. Call us if you notice these signs and symptoms. We specialize in emergency septic pumping & cleaning. Our technicians utilize state of the art technology and equipment to handle emergency septic pumping & cleaning jobs. A septic system emergency can be frustrating and can cause property damages. That is why we quickly respond to your emergency septic pumping & cleaning needs in South Prairie. We proudly serve municipal, commercial and residential clients. We also offer routine septic tank pumping and maintenance services. 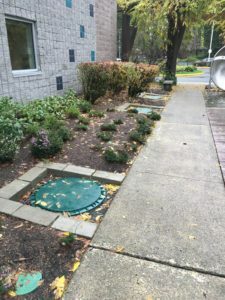 Are you wondering, “How often should I pump my septic tank?” A septic tank should be pumped every 3 to 5 years, depending on its size and usage. For emergency septic repair in South Prairie or the nearby areas, call VAC-TEC LLC at (253) 777-4887.